Renowned as the longest river and an important cradle for the ancient civilizations in China, Yangtze River is overflowing with breathtaking natural landscapes as well as abundant heritage sites. Without doubt, cruise is the best method for all the travelers who want to explore the unique beauty of Yangtze River. On a Yangtze River cruise you can participate in the onboard cultural activities, go exploring the riverside ancient towns, or simply relax on deck, breathe some fresh air, view the stunning passing scenery and take photos. 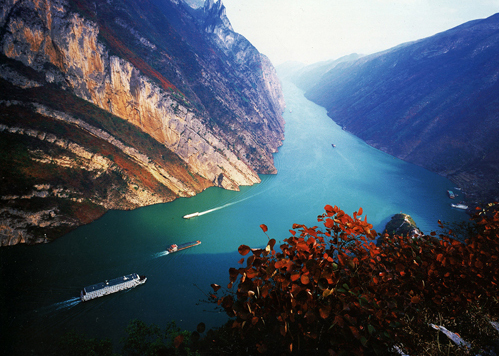 The best season to have a Yangtze River cruise is from May to October every year. No matter if choose the more popular downstream or the slower upstream every sailing is filled with a range of activities and scenery. Each ship pass through three (3) distinct gorges, the first being Qutang Gorge, followed by Wu Gorge and lastly Xining Gorge. Each offering their own unique character and glimpse of the wide ranging geology that shapes this 6,300 km. (3,9145 mi.) river. Catering to clients of both different budgets and travel style there is a ship built for everyone. We with our years of experience can advise clients on which ship’s style best matches their needs. From the top of the line Victoria Cruises to the value packed 5 star President series, or a 4 star budget cruises. No matter the ship all are focused on providing exceptional service to international clients.